It is not every person that is going to end up having to see an orthodontist. However, if you know there is something off about the way your teeth look or your primary dentist recommends that you or your child have your teeth checked to see if there is something that can be done to help with alignment or proper growth, you are going to want to know where you can find an orthodontist to go see. Since this is likely going to be the first time that you are seeing an orthodontist, you may not know exactly where you should turn to get the best doctor. Here are a few tips that you can follow that can help you to find the right Irvine orthodontics practice to provide you with quality evaluations and care. One of the best places for you to start is by talking to your own primary dentist to see what Irvine orthodontics practice they may recommend. Your dentist presumably will know you well enough to provide you with good guidance as to which doctor can offer you the type of care that you need the most. Even if your dentist offers to provide you with an orthodontic exam or help with a particular procedure, you may still want to seek out a second opinion from an orthodontic specialist. A doctor like this will have more insight and understanding of what your teeth are like and what options may be best for you to try. Talking it over with friends, family, co-workers and neighbors is always a good approach to take when you are looking for a particular kind of doctor. This can help you to get insight into what doctors are in the area that you may want to contact and others that you may not want to call. If you find strong advocacy from several people about one particular orthodontist you may want to arrange to meet with them and discuss your situation. You will find that there are various Irvine orthodontics practices that you may want to consider, but Sons & Daughters orthodontics can provide you with everything that you are looking for. When you want a comfortable to get the best advice, make an appointment with Sons & Daughters Orthodontics by calling the office at 949-262-9567. Making the commitment to start your Orthodontic treatment is a big decision. We completely understand and don’t think it’s something you should rush into. Here are some things to consider, and questions to ask your treatment coordinators and doctors during the consultation. Yelp them! Look on Yelp since this is where happy and unhappy patients go to bring awareness about anything they love or don’t love. Look at the educational background and where they did their training. Look up their website and any other social media outlets for their practice. When going to the practice pay attention to how they interact with their patients. Ask around, ask your friends and family who they recommend and where they went? How was their experience? Do you have insurance benefits? Most offices will be more than happy to check your insurance coverage for you. Typically, a PPO insurance will cover anywhere from $500-$2000 of the cost if you have Orthodontics coverage. Orthodontics treatment isn’t cheap but it is an investment in your smile for the rest of your life! You want this to be as convenient as possible. Look at what types of financial options are available. Care Credit– Health care credit card you apply for and you can use it for anything medical/dental-related. The office selects how many months interest free 12 or 18 months and you may put the full balance on the card or a selected amount. This also allows you to avoid a down payment. Interest-free In-house monthly payments – Most Orthodontics offices have some type of payment plan for the duration of treatment where you can make monthly payments interest free. Typically, it is handled through Orthobanc or gets automatically drafted from your checking account. FSA/HSA Reimbursement or monthly payments- You can use these for your Orthodontics treatment! Everyone’s FSA plan works a little differently but find out if you can use it for your monthly payments. Ask for an itemized receipt to be reimbursed if paying with a different method. Paid in full discount- Are you planning on paying in full? Find out if there is a paid in full discount for paying with cash/check/card. What days and times are they available? How punctual is the office? What happens if you need to reschedule? Will they be able to fit you in the same week or following week? How is the front office? Were they accommodating and friendly when you scheduled your consultation? Life happens! The last thing you want is to have to cancel an appointment and not be able to get in until 4 weeks out! Make sure you know the flexibility of the office on rescheduling you. Pay attention to who you’re speaking with on the phone and who is at the front office … they will either make your life difficult or super easy when it comes to appointments! Ask yourself is this someone you will want to deal with during your orthodontic experience. Where to Find an Orthodontist Lake Forest Area? It’s rare to find an orthodontist Lake Forest area who specializes in fixing smiles in a fun atmosphere. Bringing fun and orthodontist together can be quite difficult. But not at Sons & Daughters. The office’s patients are coming from all over the US. The orthodontist office of Sons & Daughters offers convenient office hours to accommodate patients who just came from work or school. With high-rise views, the office has a state-of-the-art office with all the bells and whistles. In here, you can find almost everything related to orthodontics. It’s never too late for you to get braces or orthodontic treatment. For your kids, you shouldn’t wait for them to be old enough before they get a treatment to straighten their teeth. According to the American Association of Orthodontists, by age 7, kids can get a checkup to know how their teeth are already coming in. Getting your teeth straightened would mean making a big commitment to your orthodontist. Thus, it’s best to look around to find the best orthodontist that can satisfy your orthodontic needs. Do you really need to see an orthodontist Lake Forest area? Most dentists are also specializing in orthodontics. Thus, it’s most likely that your current dentist is also an orthodontist. If he/she is not, you can ask him/her whether or not you need an orthodontic treatment. Knowing whether your can benefit from such treatment will depend on your case. It’s only your orthodontist who can determine it based on the diagnostic tools. Before you undergo this type of treatment, you will need to get a full exams, undergo special x-rays and several others. From the data gathered, your orthodontist can decide whether an orthodontic treatment is ideal. Typically, patients with overbite or buck teeth require this treatment. If you have underbite, crossbite, open bite, misplaced midline, and spacing, then you could be a good candidate. 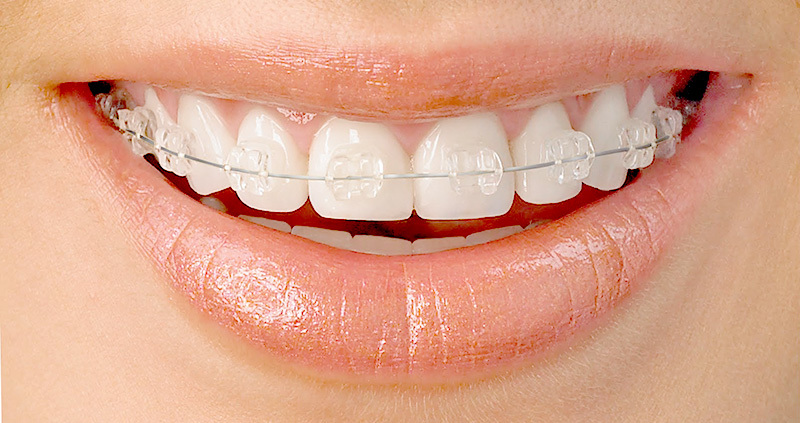 For most of us, when we talk about orthodontic treatment, we immediately think of those ugly braces. But braces aren’t the only appliances to be used in straightening your teeth. Invisalign is a popular orthodontic treatment that can help you get a beautiful set of straight teeth without braces. If you want hidden braces, on the other hand, then incognito braces are ideal. In the past, most people considered braces as something that only teenagers and children would get to help them with their teeth as they grow. Today, with changes in technology and technique, and with a greater emphasis placed and the look of your teeth, more adults are turning to the option of getting braces to help them improve the look of their teeth and their smile. If you are considering braces as an option for you, you want to be sure that you select an orthodontist that you feel at ease with and will do a great job for you. You can get adult braces in Irvine, CA that can provide you with just the improvements you were hoping for from doctors that place a high emphasis on your care. If you have long been concerned about the look of your smile because of crooked teeth or gaps and never had anything done about it as a child, it isn’t too late for you to get proper correction. There are millions of adults today that wear braces regularly to help them improve their smiles and correct dental issues. There are more choices available to you today as an adult for braces, including the “invisible” braces that can be virtually undetectable while you wear them and can help you. While adults sometimes have to wear braces longer than children might to get the level of correction they want, it can still be a big benefit to you. Naturally, as you would with any doctor that you see, you want to choose an orthodontist to help you with your teeth that you are going to be most comfortable with. Look for a doctor that has experience in dealing with adult patients and is aware of all of the new options available to you so that you can select the best course of treatment that can be most effective for you. You also want a doctor that places a strong emphasis on customer care to make sure you are happy and comfortable with all of the techniques used. You never too old to get adult braces and you can finally get that smile you can be very proud of when you get the best help from an orthodontist. Find a doctor in your area today so that you can start down the path to the smile you have always wanted. At Sons & Daughters Orthodontics, we hope our office will feel like a second home to you. We specialize in orthodontic care for children, teens, and adults.